From the bleached white beaches of the Caribbean, to turquoise lagoons in Asia and sparkling Riviera seas, we’ve got the solution for every beach bunny. Grab your things, let’s head to the beach. Barbuda is a peaceful paradise, with crystalline waters and untouched beachfronts. Unspoilt, pink sandy beaches make this one of the best beach destinations in the Caribbean. You can expect to find most beaches empty, making this a must-visit for the solitary sunbather. 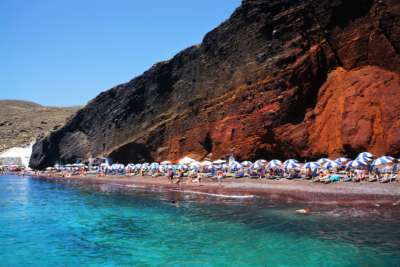 The Greek island of Santorini has volcanic origins, which shows on its stunning black beaches. The still active volcano warms the deep blue waters around the island. You can take a boat trip to hotter springs and explore smaller secret beaches with red and white sand along the way. 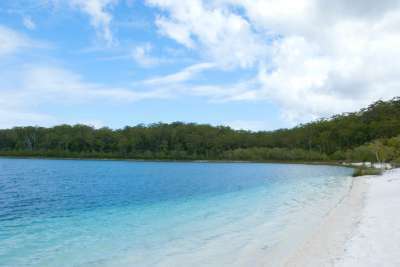 Fraser Island is set along the southern coast of Queensland, and has achieved World Heritage status as the largest sand island in the world. Dusty white sand lies thick on the shore beside sky-blue water. With 120 kilometres of beach, you're sure to find a spot to sunbathe. 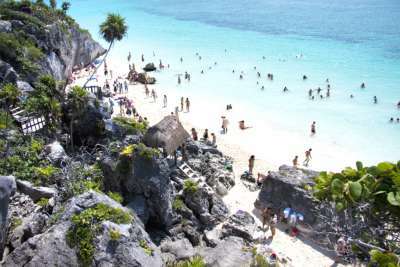 Tulum in Mexico is the site of a Mayan city, the remains of which still surround the beach to this day. The white sands are overlooked by the incredible ruins while pale-blue waters lay ahead. The vibrant beach is dotted with hidden coves and palm trees, for a beach experience like no other. 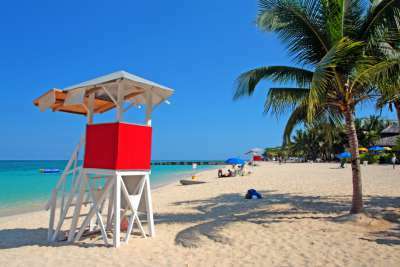 The warm, tropical shores of Montego Bay showcase some of Jamaica's most stunning beaches. The second largest city on the island, visitors here are greeted by a vibrant and friendly atmosphere. Swim with dolphins, learn to catch a wave or just relax on bright white sand. The north of Ibiza is dotted with beautiful beaches, and Cala d'en Serra is among the prettiest. 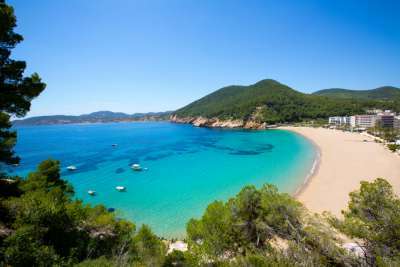 With golden sand and deep aquamarine waters, this secluded horseshoe-shaped cove is a tranquil spot to catch some sunshine, having been named one of Europe's best beaches. 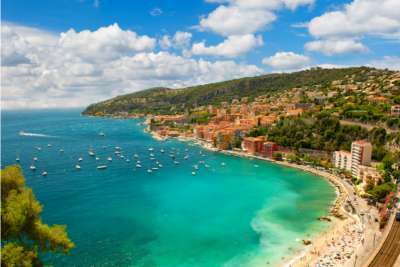 The French town of St. Tropez is known and loved for its amazing beaches, the most popular and longest being Pampelonne. With soft golden sands and the azure-blue seas synonymous with the French Riviera, St. Tropez is a luxurious spot for a chic beach holiday. Lampedusa is consistently voted one of the most incredible beaches in the world. It's technically part of Sicily, though the small island is set between Tunisia and Malta. The beach sits in a small crescent cove dusted with blonde sand. This is one of the last egg-laying sites for Loggerhead Sea Turtles in Italy - certainly a sight to behold! 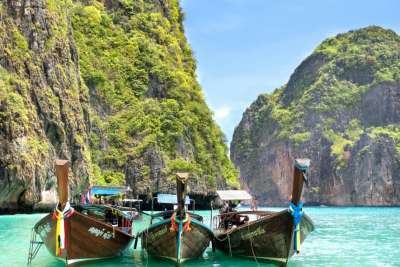 Ko Phi Phi Ley is the paradise location made famous by The Beach; a tropical wonderland where travellers flock to play in mint-green seas. Overlooked by lush green jungle, Ko Phi Phi Ley is preciously preserved and remarkably unspoilt. Spend a relaxing day on the golden sands. 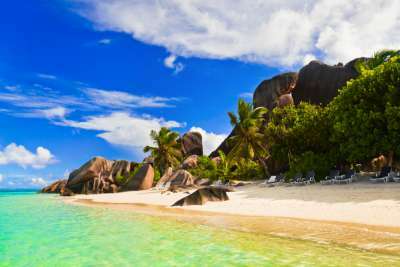 Anse Source d'Argent sits in the north of La Digue in the beautiful Seychelles. A light pink beach dotted with huge granite boulders and swaying palm trees, this is a gorgeous beach for shallow swimming and snorkelling. The cove is sheltered by a reef, keeping the waters calm and tranquil.